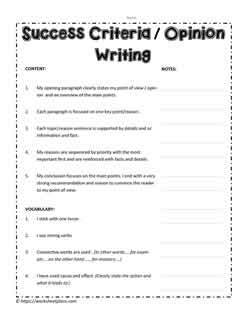 Opinion writing unit for grades 2 to 4. 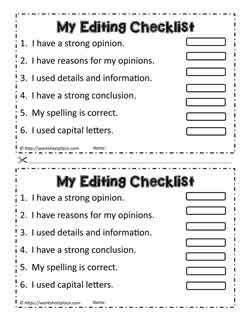 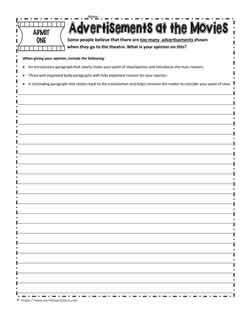 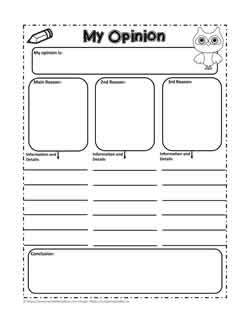 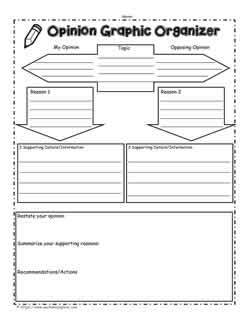 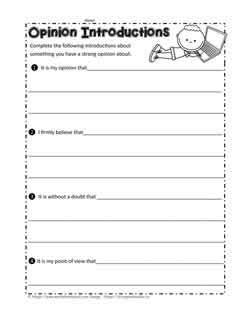 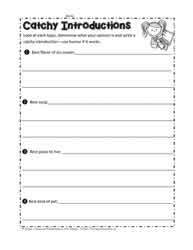 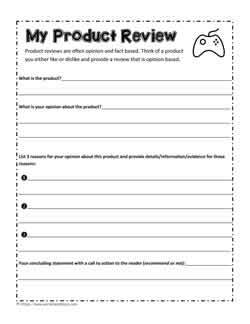 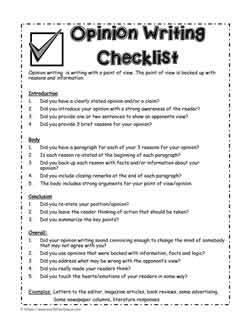 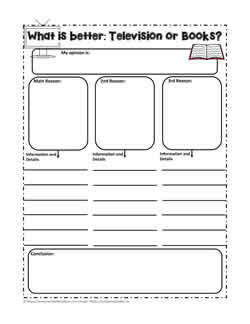 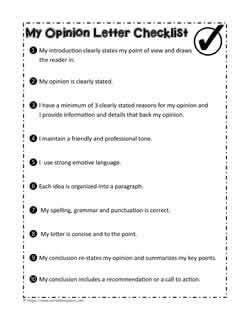 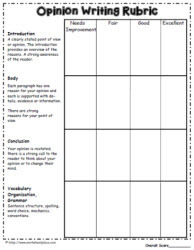 Opinion writing graphic organizers, templates, worksheets, printables, checklists and posters. 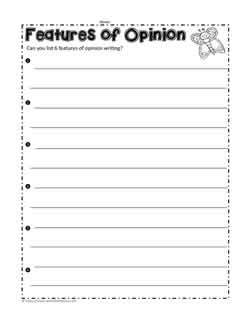 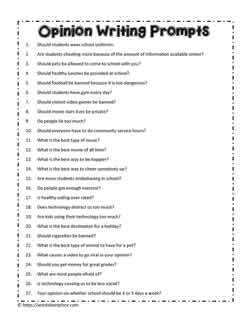 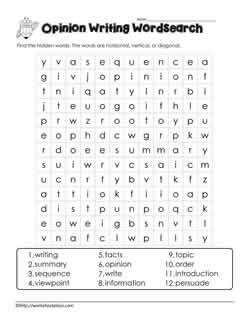 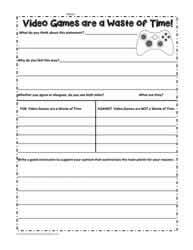 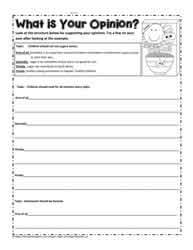 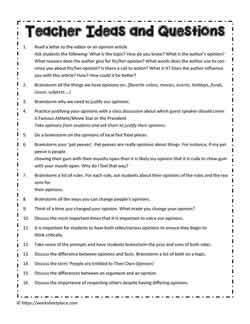 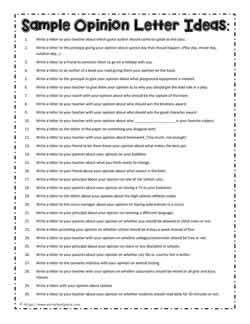 Before working with the opinion writing worksheets, visit Facts vs Opinion Worksheets. 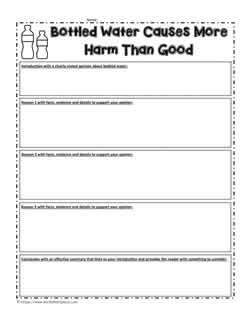 Junk Food at Schools? 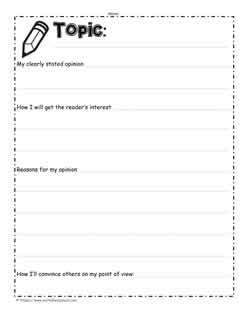 Your opinion? 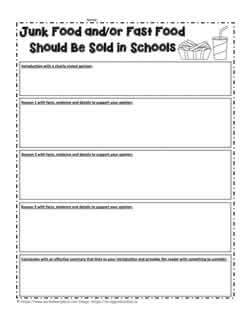 Opinion on Movies, Too Many Ads? 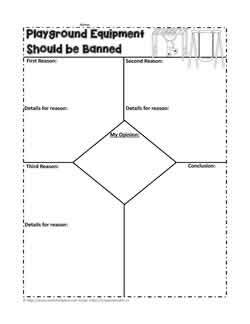 Should ALL Students Play Sports? 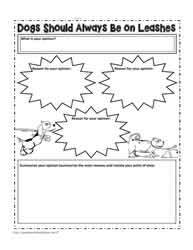 Should Dogs Always be on a Leash?